Known from the Egyptian side as the first City of Nubia, Aswan boasts an easy going and relaxed atmosphere with the local Nubian people known for their friendly and warm heartedness throughout Egypt. it is a colourful society and have their own traditions, language and culture making the visitor feel at home. 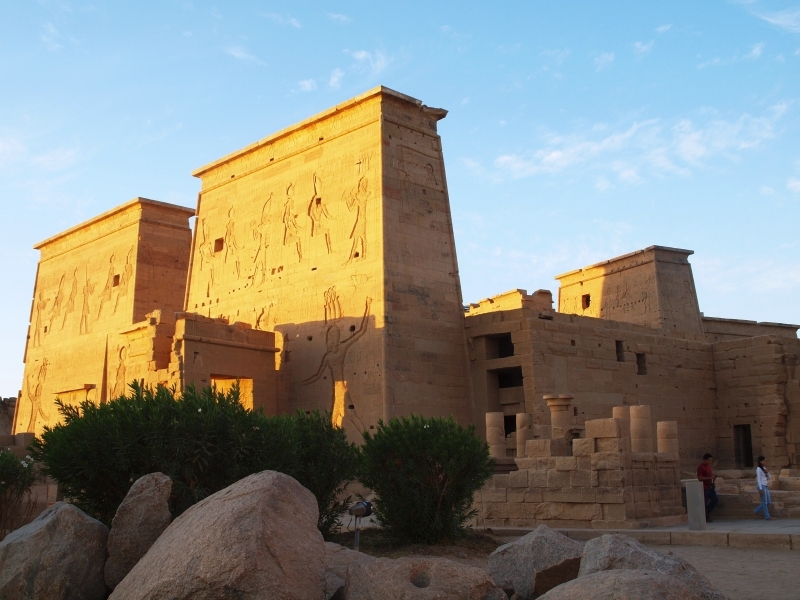 Plenty to do in Aswan with many optional tours both locally and further afield like Lake Nasser and Abu Simbel. 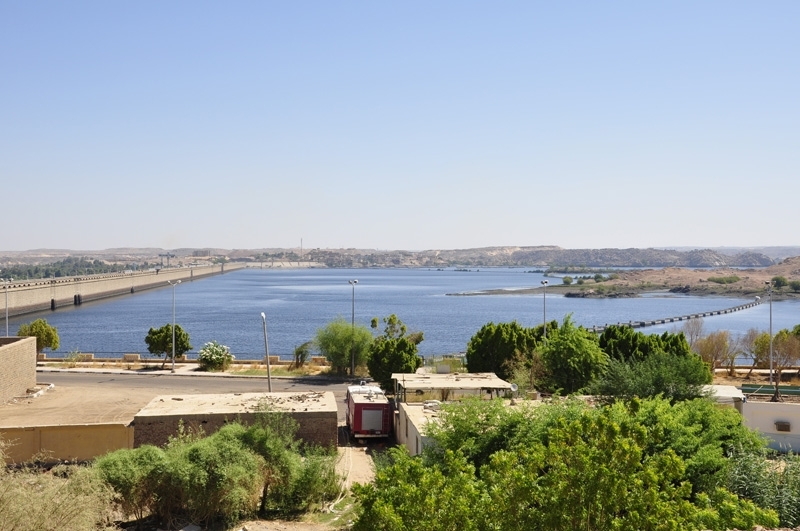 A three hour drive from Luxor and located near to Aswan City with just a short 1 hour flight from Cairo. 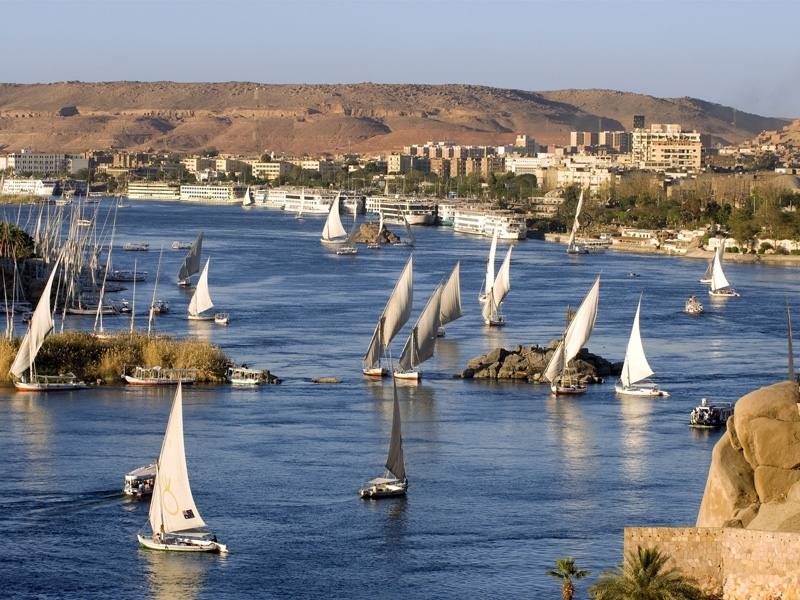 Aswan’s setting on the Nile is dramatic and idyllic. Here the river is squeezed between the Eastern Desert and the Sahara. It’s cool, sparkling blue waters and Cataract Islands contrast starkly with the hot, golden desert sands, the pink granite boulders and the lush green island in its stream. But the views over Aswan and the Nile are the real spectacle, particularly in the late afternoon. The town of Aswan has been a frontier since ancient times, as Egypt’s southernmost city and the gateway to Nubian and Africa. The climate is fabulous in winter,warm and dry with the atmosphere totally laid back. Aswan has fewer spectacular sights than Luxor or Cairo, so there’s more time to hang out in the riverside cafes watching the sun set and the feluccas sail by, and to stroll in its interesting Souk with the lovely smell of incense wafting through the main street and a huge range of spices and herbs to take home. Modern Aswan is a relaxed and easy town to explore, and its attractive Corniche is lined with pleasant waterfront café-terraces. Sharia al Souk, the main market street, still retains an exotic air.The Nubian Museum is a tribute to the culture and art of the Nubian people whose lands were flooded when the dams were constructed to create Lake Nasser. The Museum’s impressive collection, well displayed and labeled in English, traces the history of Nubia from prehistoric times. About 1.5Km (1 mile) south of Aswan is the vast Fatimid Cemetery, with domed mudbrick tombs from the 9th century, and the gigantic Unfinished Obelisk that was abandoned after a crack was discovered. It’s thought that it was intended to stand in Tuthmosis III’s temple at Karnak. Upriver from the first Cataract is the Old Dam built in 1902, and farther on the High Dam, Completed in 1971. Ancient Aswan consists of many sites, and across from the City on the West Bank around the Cataract Islands sits Elephantine Island which was known as Yebu (meaning ‘ivory’ and ‘elephant’). The fortress of Yebu, Protected by the turbulent waters of the Nile, was a perfect base for Egyptian expeditions into Nubia. Nilometers - These instruments were used to record the annual flooding of the Nile, until it was controlled by the Aswan Dam. It was vital to know the accurate level of the Nile waters, as it formed the basis of tax calculations: the higher the waters rose, the bigger the harvest and therefore the higher the taxes. 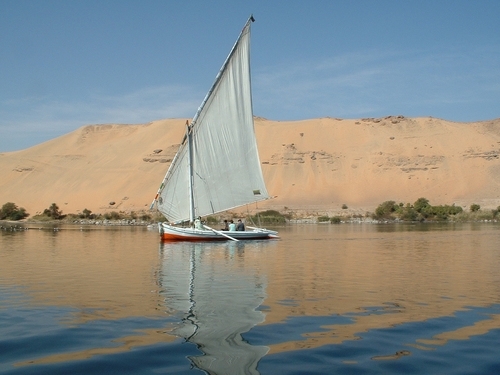 Note* It is highly recommended to take at least one felucca ride around the islands as there’s nothing more relaxing, particularly around sunset when local children go out on their home-made boats and sing Nubian songs. 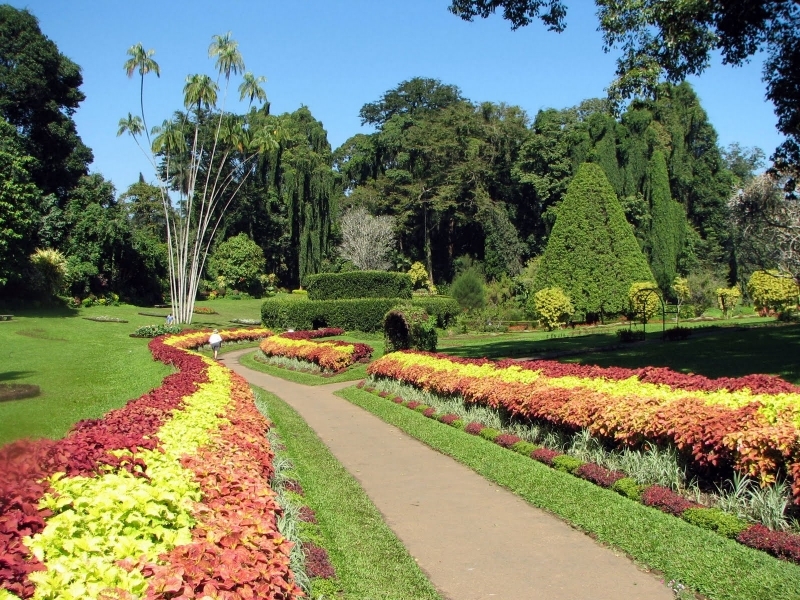 Visit the sweet-smelling Botanical Garden on kitchener’s Island, where General Lord kitchener of the British Army had this Island dedicated to him after his co operation and assistance during the War. Here he planted shrubs imported from all over the world. Other hidden gems are a 30-minute walk or Camel Ride across the desert from the tombs of Elephantine’s nobles to the beautiful ruins of 7th century St Simeon Monastery (open daily8—5; admission moderate). A guardian will open the basilica and show you the place where St Simeon’s beard was tied to the ceiling to stop him falling asleep during his prayers.